Matta Fair (Malaysian Association of Tour and Travel Agents) is the biggest and most popular travel fair in Malaysia. Malaysians do not yet use the internet as the standard way to book their trips and holidays. Many either go to travel offices or they consult their travel agent when they want to go on a trip. Matta Fair is the place for the best bargains; and it can even be interesting for foreign travelers as there usually are great bargains to destinations outside and within Malaysia. Rafflesia is a genus of flowering plants that is made up of 16 known species. The best known of these species is Rafflesia arnoldii, which has the distinction of being the world's largest flower, reaching a diameter of about three feet. The Rafflesia flowers have been found only in Indonesia - on the islands of Sumatra and Java - and Malaysia, in particular in the East Malaysian states of Sabah and Sarawak. All of the known species of Rafflesia are threatened or endangered. Malaysia is very popular for people to migrate to because it is not only an adventure far away, it is also a beautiful place with many natural treasures for them to explore during their stay. Employment opportunities are plenty and costs of living are relatively low. Malaysia has excellent health care facilities and there are many international schools to choose from if you settle here with children. Malaysia is a developed country so the change in transition is not too much to handle. There are also many people in Malaysia that did not come there to work. They come to enjoy life in this wonderful country. Most of them join the Malaysia My Second Home (MM2H) program under which they are entitled to buy a second home in Malaysia. 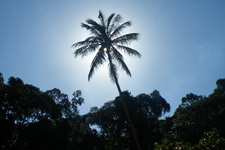 Some live in Malaysia for a couple of months each year to hibernate, as the climate is pleasantly tropical thus nicer compared to the often cold European climate. Living and working in Malaysia is possible in multiple ways. The best way is to be sent off to Malaysia as an expatriate by an international employer. This is the best way as an expat package usually means you are able to live a wealthy live here in Malaysia. The conditions are usually best when people are sent to Malaysia contrary to people who try their luck after arriving in Malaysia. A warning: It can be quite difficult, almost impossible, to just fly to Malaysia on a tourist visa and look for work, unless you are highly educated with years of experience in a sought after field of work. Chances are very slim as Malaysian employers benefit more from employing local staff rather than international staff. Local conditions related to income and benefits are usually not that great compared to an expat package. The best option is to find out what international companies are active in Malaysia and to find out whether these companies are also active in your own country. When so, send your application and your C.V together with a clear motivation. Most of the times you won't be able to go directly to Malaysia, but these companies do offer a very good start. If you had higher education you can try to get yourself noticed by some of the international head-hunter companies. Another place to start looking is via LinkedIn or your own personal network. Companies in Malaysia are only allowed to hire foreigners when they can prove that Malaysians aren't able or willing to do that job. Exceptions are made in case of strategic jobs such as management, finance, etc. This is because nowadays Malaysians are educated well so you need to show good qualifications; at least a bachelor, preferably a masters degree with some years of work experience. When you find a job you to get your employer to file a permit application with the local government in Malaysia. There are several terms that you have to meet in order to be eligible for a work permit. You have to be at least 27 and earn a minimum of RM5000 per month. The company that wants to put you under contract has to have enough paid up capital, the actual amount of capital in money that has been contributed towards the company. This is RM200.000 in case of a local company, RM350.000 for a part foreign ownership and RM500.00 in case of full foreign ownership. If you are offered a contract of over RM8000 per month then your work permit application will instantly approved and immigration guarantees that you will have your work permit within one week. Highly-skilled expatriates are able to apply for a special 10 year Visa that is tied to the actual individual instead of the company hiring the expatriate. With this new type of residence pass the government of Malaysia aims to attract and retain top talent in the country. Usually a permit is requested for 1 or 2 years, in a few cases 3 or even 5 years. After that period your employer will need to request the renewal of your permit. With a work permit you are allowed to work in Malaysia. With a work permit it is possible to open a bank account in Malaysia; it is even possible to get a mortgage. Expatriates pay taxes in either their home country or in Malaysia during employment. In most cases Malaysia has an agreement with countries to avoid double taxation. Highest tax percentage in Malaysia is 26 percent. If you live and work in Malaysia, make sure you keep your receipts for your tax return. Malaysia has a pension scheme (EPF), where a small portion of the monthly wages is put aside for retirement. Employers are required save this money for their local employees, but it does not apply to foreign expatriates. Often this amount is accumulated onto the monthly salary. If not you can claim it yourself. Expatriates that are brought in by their employers on an expat package often earn well over RM10.000 per month. Most get all kinds of extras included in the packages, like one-time relocations costs, a car allowance and sometimes even a start up allowance (to buy suits and such). There are always stories of expats that earn around RM50.000 per month, but this is usually an exception to the rule (only a lucky few earn this much). With RM10.000 per month you can live a decent live in Malaysia. If your wife or husband is not earning her/his own salary then this will be a pretty normal income for foreigners in Malaysia. You can rent a nice condo and enjoy western things every once a while. If you earn around RM15.000 to RM20.000 a month; you can live life to the fullest in Malaysia. 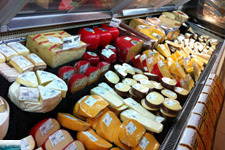 You can rent a upper class condominium and eat daily in fancy restaurants. Most are not so lucky however. Locals usually earn somewhere between RM2.000 and RM4.000 per month (non-management). People that work in restaurants, shops, food courts often earn a fraction of this (usually less then RM1000 per month). If you are here on a local package, chances are that you will earn somewhere between RM5000 and RM8000 per month. Of course highly skilled people with years of experience will earn more. If you go to Malaysia by yourself on a RM5000 contract you should be able to live pretty comfortable. Discuss everything about the salary that you have been offered at our forums. As in the rest of the world there are quite a few people who were victim of an expat scam. Those were offered nice jobs with generous wages only to find out that this was all a scam. Often victims pay a small fee of a couple of thousand ringgits up front. If the offer you receive sounds too good to be true, then it often is not. No 27 year old is offered an RM25k monthly income package. Also look out for scams involving companies recruiting people that are under 27 years old (there are exceptions to this age related rule though). Cover letter and authority letter from the company (that applied for the initial work permit). Proof of relationship with the expatriate. Photocopy of the complete passport of the dependant. Photocopy of the complete passport of the expatriate. If you are not married you could consider getting married in Malaysia. Your own embassy is able to arrange the necessary documents like the single status declaration. In some cases you can get married at your own embassy. If this is not possible; then you need to head over to a marriage registration office. Here you will register your official wedding date in the notice of marriage. On that date you will go, with two witnesses, to the marriage registration office to get officially married. Applicants aged 50 and above may comply with the financial proof of RM350,000 in liquid assets and off shore income of RM10,000 per month. Those who have retired are required to show proof of receiving pension from government approved funds of RM 10,000 per month. Malaysia has very easy going rules on tourist visas. Citizens from most (western) countries can stay in Malaysia for a maximum of 90 days when in possession of a tourist visa. This tourist visa is obtained on arrival at Kuala Lumpur International Airport or at the border with Thailand or Singapore. Even without a permit there are many foreigners that stay in Malaysia for a longer period of time. Although they do not have a work permit and are not joining the MM2H programme, they are still able to stay in Malaysia for years. They do visa runs to renew their tourist visa before the 90 days expire. People that stay in Malaysia on a tourist visa have to leave the country before the end of that period. Doing a visa run usually means you leave the country for a couple of days and then return again for a new stamp in your passport (another 90 day tourist visa). Malaysian immigration officers are always alert to spot people that work in Malaysia illegally. This is an offence and could imply that you are not allowed into Malaysia anymore. It would not be smart to quickly cross the Thai border and then return to Malaysia or to fly or take the bus to Singapore only to return the same day. The chance that immigration officers will ask you tricky questions is bigger in those cases; you risk not being able to get into the country again. Better is to travel for a longer period to a foreign country before returning to Malaysia. A short holiday of a week or two weeks to Bali, Thailand, Sumatra, Cambodia or Vietnam should be enough to get a new stamp in your passport without any questions asked. Over the years customs have become stricter so after three or four visa runs you might get some inquisitive questions regarding your whereabouts and activities in Malaysia. In some cases you are told to visit immigration HQ at Putrajaya to explain what it is that you are doing in Malaysia. It is important that you do not work in Malaysia and that you never stay longer than 90 days in a row in Malaysia. Do take into account the fact that this solution is completely at own risk. The author of this article and the editorial staff of Wonderful Malaysia are not responsible in any way for the consequences of following up the information published in this article. Another option is to live in Malaysia by setting up a Labuan company. This is a company that you set up on the island of Labuan off the coast of Borneo. It is a so-called offshore company. The Malaysian government has made this possible to make it easier for companies to do business in South East Asia. There are many benefits for companies to start a Labuan branch of their international company. An important rule however is that you are not allowed doing business in Malaysia with Malaysian companies. An advantage of a Labuan company is that you will get a work permit for 2 years (in some cases even 5 years). The request of a dependant pass is also very easy once the work permit is granted. The start up costs of a Labuan company is around $4000 in the first year and $1800 for each following year. You don't need to have paid up capital compared to a Malaysian company. The only criteria around founding a Labuan company is that you need to be at least 27 years, have a passport that is still valid for 2,5 years and you need to have enough academic qualifications. With a Labuan company you can establish yourself in Malaysia and get a mortgage in order to buy a house in Malaysia. The best benefit is that you only pay 3% taxes on your income. Over the years it has become less easy to set up a Labuan company. Prices have gone up and many countries are seriously looking into those who start a company in Labuan. Do not mistake Labuan with a place where you can evade local taxation laws that apply to your own country of residence. The major advantage is that you can easily get a work permit to settle in Malaysia and you pay almost no tax. 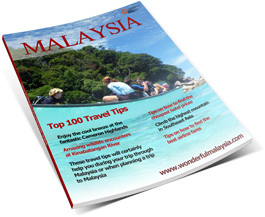 Note: Wonderful Malaysia is an online travel guide. We promote Malaysia as a tourist destination. A Labuan Company is a possible way to settle in Malaysia. We are however not experts in the matter of starting a company in Labuan. You can visit out the following website for more information: simplyoffshore.com. Main places for expats to settle are Kuala Lumpur, Georgetown and Johor Bahru. Upcoming popular places are Kota Kinabalu, Kuching and to a lesser extent the city of Ipoh. In recent years prices of properties (sale or rental) have sky rocketed with the result that not every expat can afford to live in for example Kuala Lumpur city center without paying at least RM6000 per month for rent. On a positive note, foreigners are allowed to own property in Malaysia (freehold) and prices of properties seem always on the rise. You can take up a mortgage to buy a house based on your work permit, via the MM2H programme or via a Labuan Company. Everybody can own a house in Malaysia, provided that you have enough financial means. This will be audited up front and the bank will also do an appraisal to determine a value of the house you want to buy. Banks are usually willing to offer expats a mortgage based on this appraisal, but do know that often they will not loan you the total buying price of the house (usually somewhere between 75% and 90% of the total value of the house). This means you need to come up with the remaining part of the price yourself. Prices of houses in the popular areas as Kuala Lumpur, Penang and Johor Bahru range between RM300.000 to well over RM2.000.000. For around RM600.000 you will already buy a beautiful condo just outside of Kuala Lumpur city center. A two story bungalow outside of KL city center usually costs around 1 million ringgit. Outside these popular places to settles prices are noticeably lower. In case you do not have enough financial means, the best solution is to rent a flat, apartment, condo or serviced apartment (enumeration on the ground of luxury). A condo is the most popular one among expats. This usually is a large apartment with numerous extra facilities. These facilities usually are a swimming pool, a garden, a barbecue site, fitness, a nice lobby and many other extras. Most condominiums start with a size of around 600sq ft (often referred to as a studio condo). There are also condos of over 2000sq ft with a Jacuzzi, a sauna and a very large shared swimming pool. You will probably not be able to find an average condo in Kuala Lumpur for less than RM2000. A more luxurious condo will cost you RM5000 per month or even more. Luxurious condos in the neighbourhood of the PETRONAS Twin Towers can easily cost over RM15.000 per month. In Malaysia is quite normal to pay at least two months' rent in advance and in most cases also half a month to cover the utilities bill. Contracts usually start for one year minimal, but often two years. It is not easy to find something for short term rental in Malaysia and if you do find something be prepared to pay a considerably higher monthly rental price. Kuala Lumpur has several neighbourhoods that are popular among expats. The most popular expat neighbourhood is Mont Kiara, here you also find many international companies and schools. 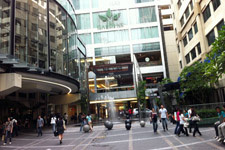 Another very popular area is Bukit Bintang in the centre of the city. In Mont Kiara you find huge condo's that are often quite affordable. A possible disadvantage is the location (sometimes the condo is located at a remote part of Mt. Kiara) and the distance to the city centre. Without your own car Mont Kiara isn’t the best place to live. Other very popular expat areas in Kuala Lumpur are Kenny Heights, Bangsar, Ampang and Damansara. Many foreigners do not want to live in Kuala Lumpur or similar densely habited areas. They come to Malaysia to live on an island such as Penang or Langkawi. Here you can rent a house for a very small amount of money. If you want to have a nice house (without air-conditioning) then it is possible to rent something for RM500 per month. If you want something more luxurious, for example a beach bungalow, you can rent something for around RM3000. Transport costs vary per transporter and are different per country. From Europe it usually takes 3 weeks before your furniture will arrive in Kuala Lumpur (Port Kelang). Do visit the relocation company and ask them if it is possible to store your furniture temporary so that you can rent something short term to have more time to find the perfect home. There are numerous relocations companies in Malaysia. We used Allied Pickfords Movers and heard good things about Santa Fe, Royal Relocations and BW Worldwide Movers. Most of these relocation companies offer good services against competitive prices. They often have their own storage facilities so that you don’t have to leave your furniture at Port Kelang for too long. Temporary air-conditioned storage for two months, before delivering it to your new house in Kuala Lumpur, costs around RM1000. These relocation companies are usually also able to help you out with paperwork and even with the work permit or dependant pass procedures (for example Entourage Relocation Services). Unless you're here on an expat package you will find out that buying a car in Malaysia is very expensive. Often expats get a onetime car allowance. If you get such an allowance you are lucky; do make sure this is at least RM50.000 as it is almost impossible to by a relatively new car for less than that amount. If you are not here on an expat package or did not get a car allowance there are a couple of places where you should be able to find an affordable car. One of these places to check out is Mudah.com.my; an online marketplace with a huge selection of used cars. 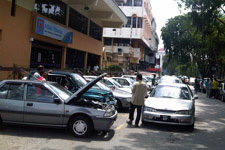 Another place to look for 2nd hand cars is at PJ Old Town. Here you can visit the car market every Sunday morning from 7.30am to 12.30pm. Prices of furniture are usually much cheaper in Malaysia compared to prices in the US or Europe. However, when you are looking for high quality designer furniture, be prepared to dig deep into your wallet as prices are usually very high. Local fabricated furniture usually is cheaper than imported items. High end furniture shops can be found all throughout Kuala Lumpur, but not at that many places outside KL. Bangsar and Ampang are two areas with many furniture shops. Better affordable furniture can be bought at Macy's or IKEA. There are also quite a few chains with 'Italian design furniture', but often it is still fabricated in Malaysia (Lorenzo is an example). Not everybody will like their particular style. There often are lifestyle fairs in Kuala Lumpur, where many furniture brands display their products. Usually you can enjoy huge discounts, especially on bedding, mattresses, curtains and lamps. Another advantage of buying furniture at Home & Living Fairs is that you often get all kinds of accessories together with your purchase. When we bought our bed and mattress there once, we also received free pillows and a free mattress protector. A popular online place to buy furniture is Home24. Three popular auction websites in Malaysia are Lelong, Mudah and Ebay. Two other popular online shops to buy small electronics are Superbuy and Lazada. Home electronics & homeware is often quite expensive in Malaysia. Especially prices of fridges, washing machines, coffee machine, vacuum cleaners and microwaves are higher in Malaysia compared to prices in the US or Europe. This specifically goes for prices in stores like Best Denky and Harvey Norman. You are better off buying electronics at online stores. For example; we bought our fridge and washing machine for very competitive prices at Jintex Electronics, a well known online store run by friendly people. Another place where you might be able to find household items at affordable prices is via the Lowyat Forums (Homeware section). Though this is not a webshop, you can still buy items online. The main difference is that you often end up at one of the many shops around KL to pick the item up (and to pay on the spot upon collection, which is known as COD - Cash on delivery). The amount of people selling via Lowyat and delivering at your doorstep is growing every day. Numerous Lowyat sellers offer similar services as webshops you might have used in your home country. Maxx Audio (Lowyat member: htkaki) for example sells beautiful high end audio products. Internet is available almost everywhere in Malaysia. There are numerous providers; most of them provide a WIFI service. People that want the benefits of a fixed (copper) line can subscribe to Streamyx or Unifi. Streamyx offers a 4mbps subscription for RM140 per month. Unifi offers a 25mbps subscription for RM249 per month (though the line is capped at 120GB per month). There also providers that offer a monthly based internet subscription; great for people that visit Malaysia only for a short time. If you would like to watch local television you can subscribe to Astro. Regular Astro package offers numerous local channels. If you want to watch blockbuster movies you need to upgrade your package. Astro also offers HD channels via their B.yond service. Cheapest solution is to buy a prepaid SIM card (Hotlink, Digi, Celcom). A subscription gives you the option of buying a cheap phone. If you are using a smart phone (iPhone, BB or other brands) then you might want a 3G subscription added to your regular phone line. In that case your bill will be over RM100 a month. Popular telco’s are Maxis, Celcom and Digi. Compare packages up front to see which operator suits you best. Sometimes expats are offered a local health insurance package. Though monthly charges are much lower, coverage is usually less than when you are insured via an international package. Gasoline is very cheap in Malaysia. RON95 costs RM1.90 per liter, which equals to around RM60 for a full tank (30ltr). Costs of using the taxi are pretty high as most trips will easily cost you RM10/RM15 within the city center. If the driver uses the meter it is often cheaper. Public transport like the metro or bus is very cheap; but not all places in KL are easily reached by metro or bus. Often one stop by metro costs around RM1.20. If applicable, with daily use of air-conditioning monthly costs may increase. With air-conditioning on daily at 26 degrees your bill will be over RM250 a month. Water consumption is usually very low in Malaysia. Expect to pay around RM5/RM10 per month if you shower twice a day. It is common to eat outside in Malaysia, so gas consumption is usually low as gas is only used in kitchens. When you arrive at your new home in Malaysia the first thing you need to do to be able to cook at home is to contact the gas delivery service. A new tank will be delivered and costs RM25 plus a RM50 deposit. Daily costs of living are relatively low in Malaysia compared to most western countries. Here it is still possible to spend RM20 to RM40 a day on three meals including drinks. People in Malaysia have become wealthier over the years so expect numerous fancy restaurants where you can dine easily for well over RM100 per person. If you like eating at local street restaurants (hawkers) then prices of a typical local dish varies between RM10 to RM20. Drinks usually cost up to RM4 (carbonated drinks). An Ice Lemon Tea (popular local drink) only costs RM1.20 to RM1.50 at most places. If you drink beer or wine, prices will easily double. If you visit places like Starbucks for your daily cup of coffee and western restaurants, then prepare to pay pretty high prices. A normal (tall) cup of coffee at Starbucks costs RM9. A sandwich at a bakery costs RM15. Dinner at a restaurant in a shopping mall usually costs RM60 per person including a drink; though eating in a food court is considerably cheaper. Do you have any questions or remarks concerning this article? Please contact the team of Wonderful Malaysia. You can also post at our forums. Additions to this article are more than welcome. Help us by creating more attention for this article by putting up a link of this article on your own website, weblog, forum etc. Please contact us for more information. Another way to say thumbs up is to like or tweet this article.